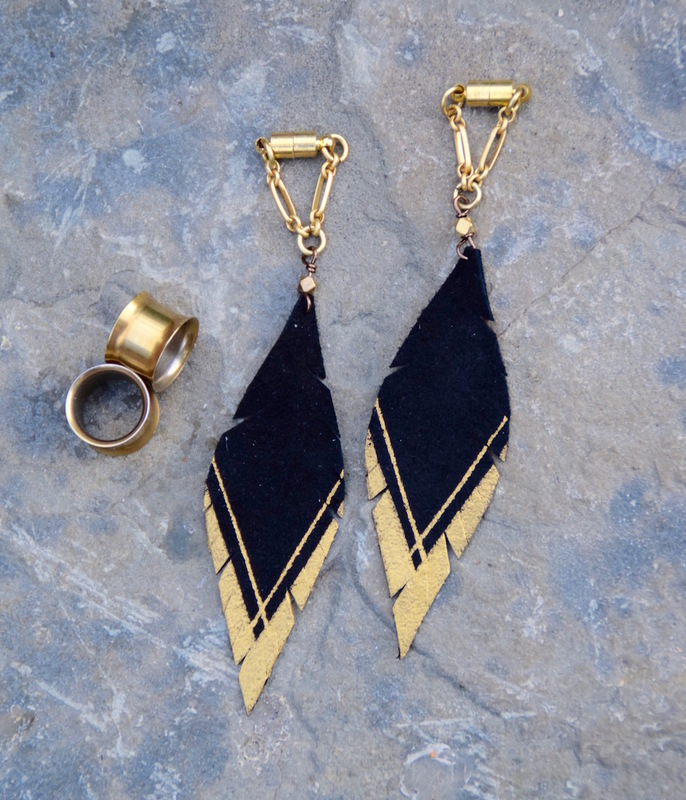 These lightweight, black suede and silver feather earrings are hand painted on both sides. Every pair comes with a set of Stainless Steel Tunnels sizes available from 0g-1". **2g is only available with Black Silicone Eyelets ONLY, not steel tunnels.